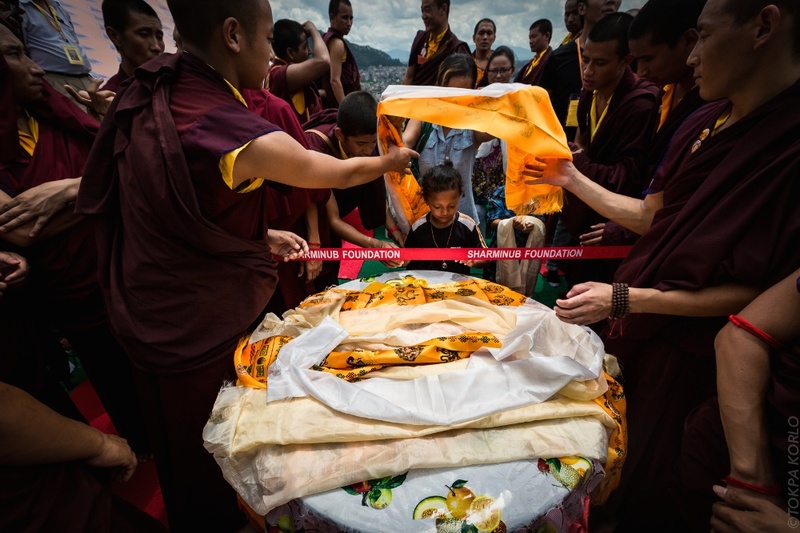 On the morning of Thursday, 31st July, after weeks of expectation and preparation, the last rites began for one of the greatest Buddhist masters of our times. 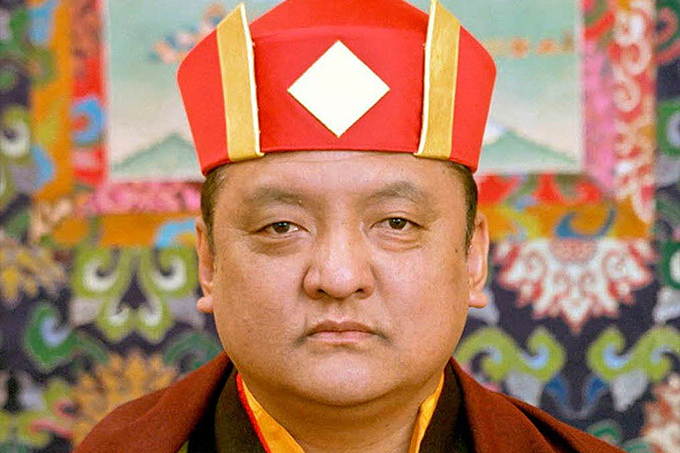 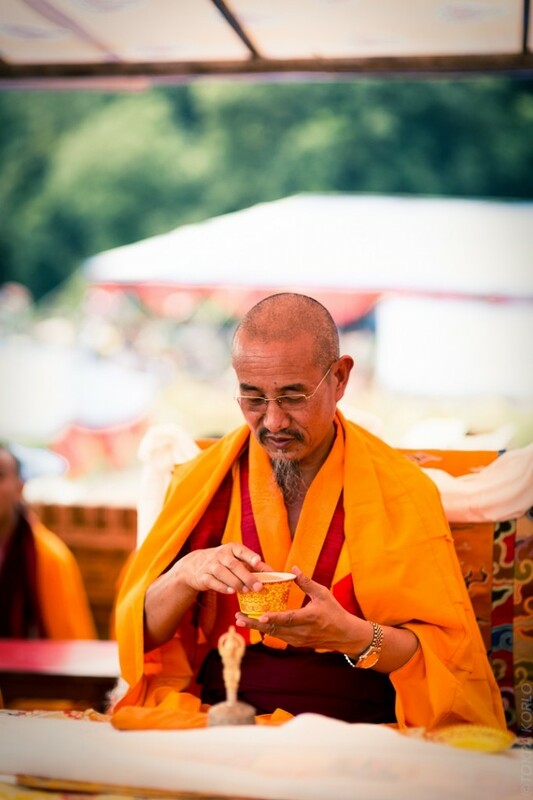 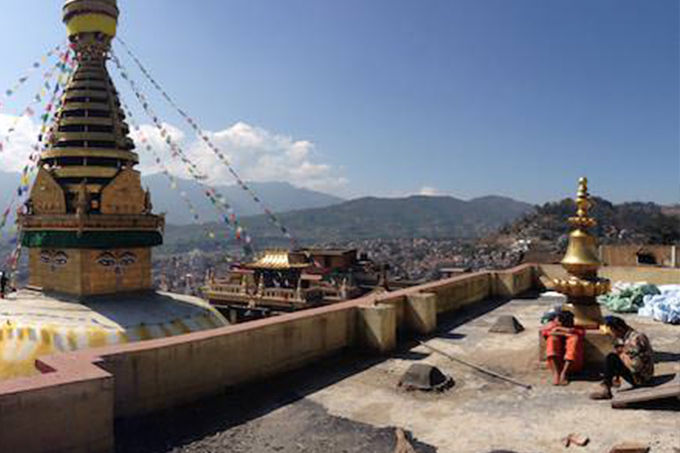 The 14th Shamar Rinpoche Mipham Chokyi Lodro had requested that his cremation be held at the Shar Minub monastery in Kathmandu, one of his main projects. 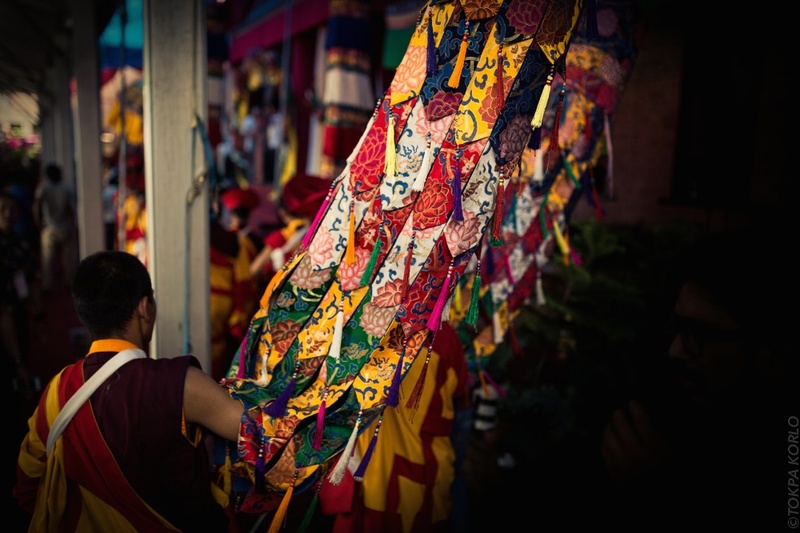 “Shar Minub” means “to rise, and not to set”. 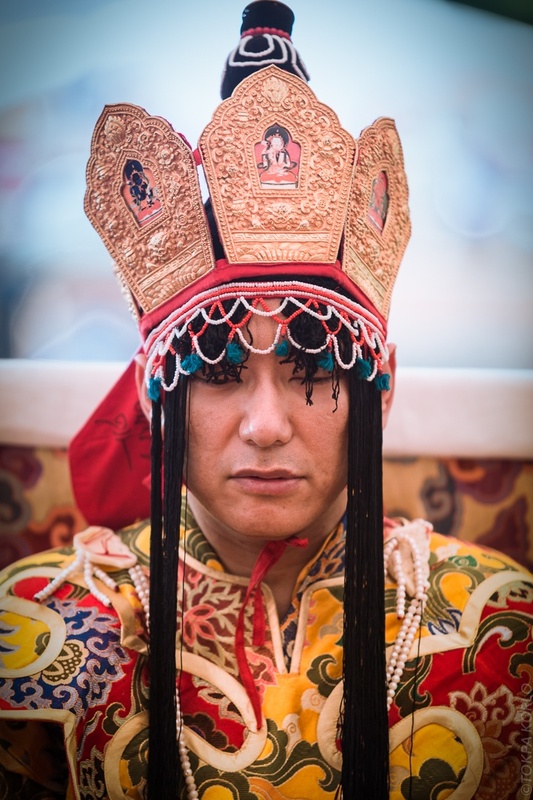 The Shamarpas are emanations of Buddha Amitabha, and are said to repose between incarnations to a pure realm. 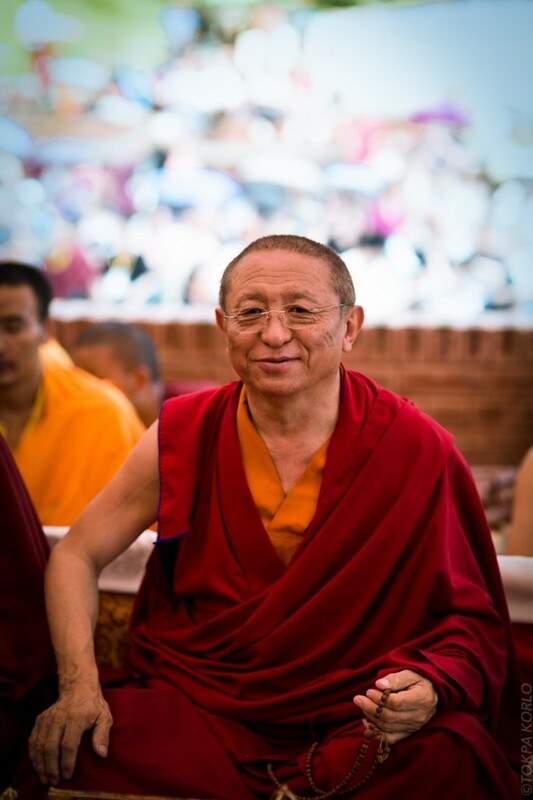 A master as advanced as Shamar Rinpoche needs no help, as normal people do, to rise to such a state after death. 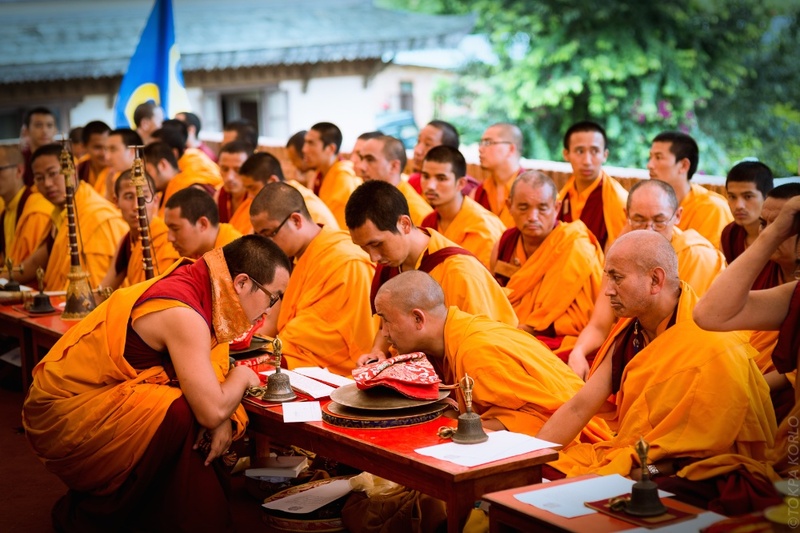 Indeed, the pure land of Dewachen was created by Shamarpa himself, as Buddha Amitabha. 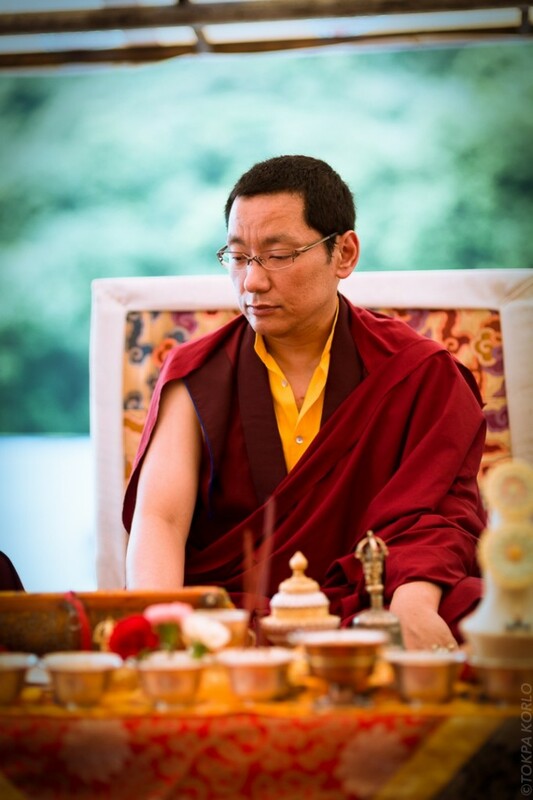 Rather, the purpose of the elaborate ceremonies around such a being’s passing is for the benefit of the students, to give us the opportunity to realise that our mind is of the same nature and inseparable from the mind of the teacher, and to request that they return soon in a physical form. 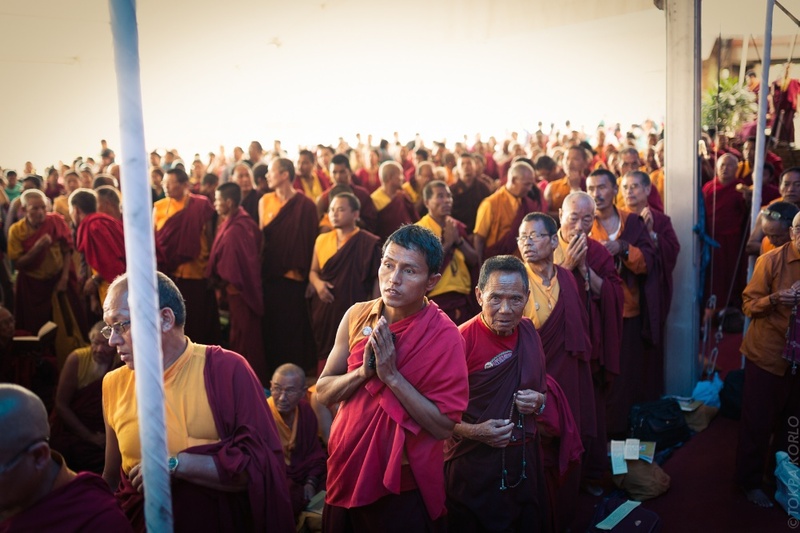 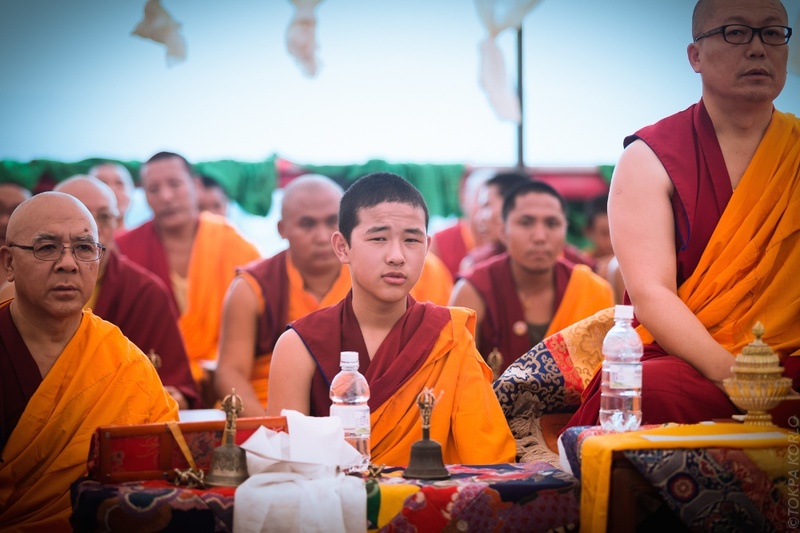 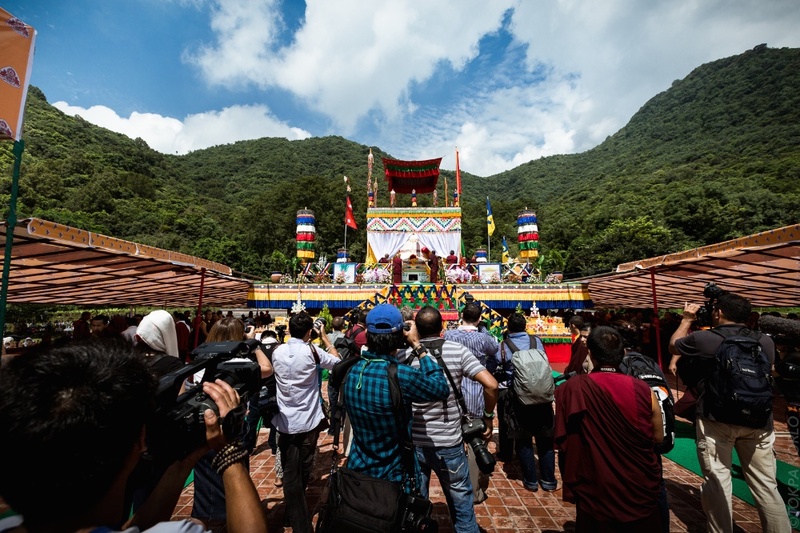 At Shar Minub, against the backdrop of the sadness of having lost a lineage master and spiritual guide was an uplifting sense of inspiration and aspiration. 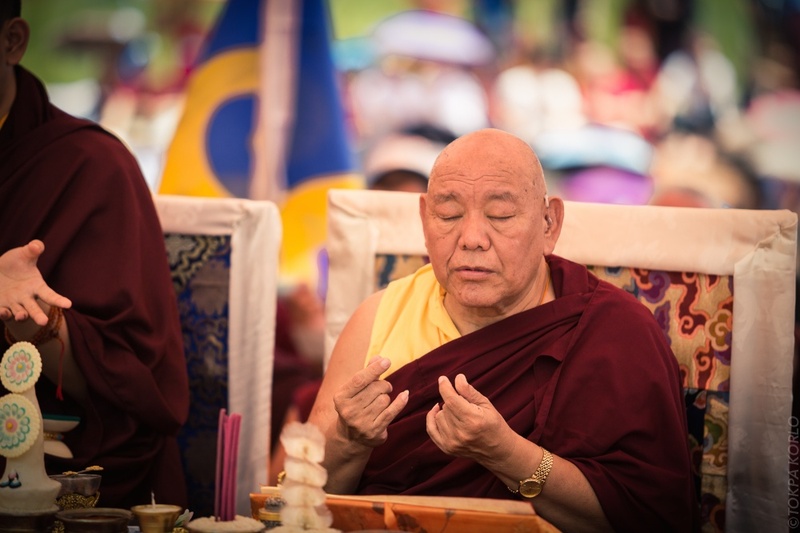 Inspiration at recalling Rinpoche’s tireless efforts in this life to protect the Karma Kagyu lineage and to provide the dharma to so many around the world. 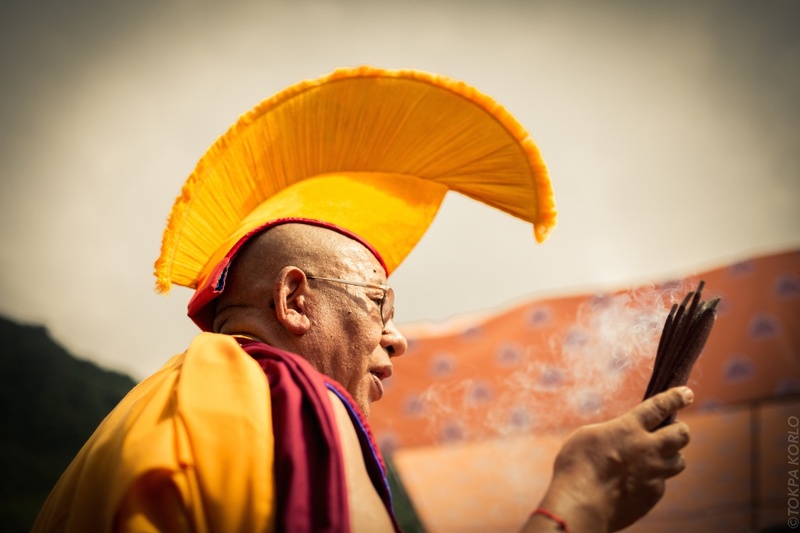 And aspiration, that he may return swiftly, and that we the practitioners continue to fulfil his wishes. 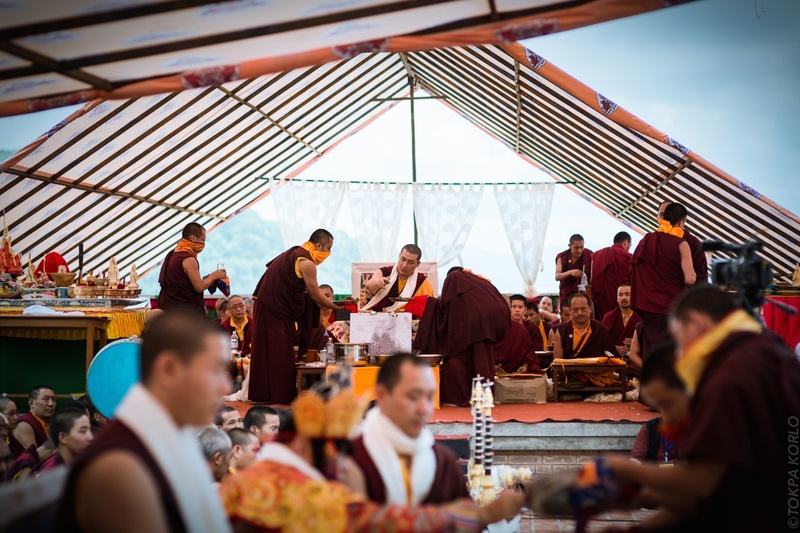 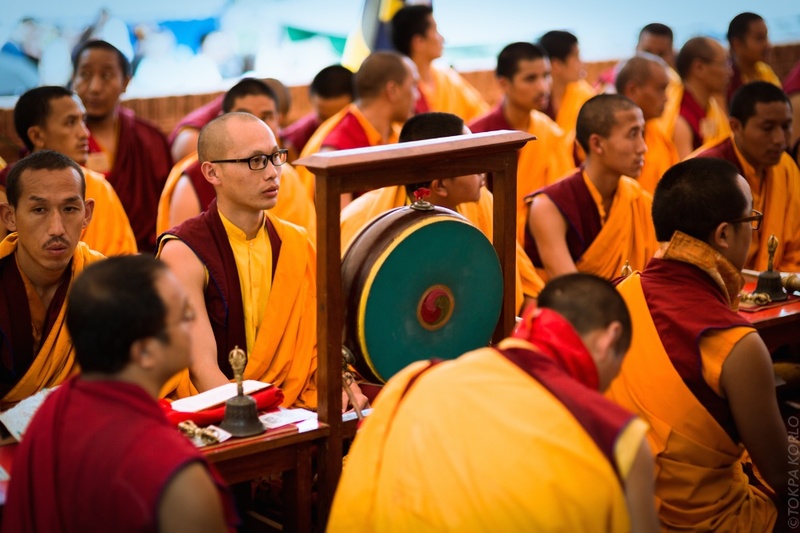 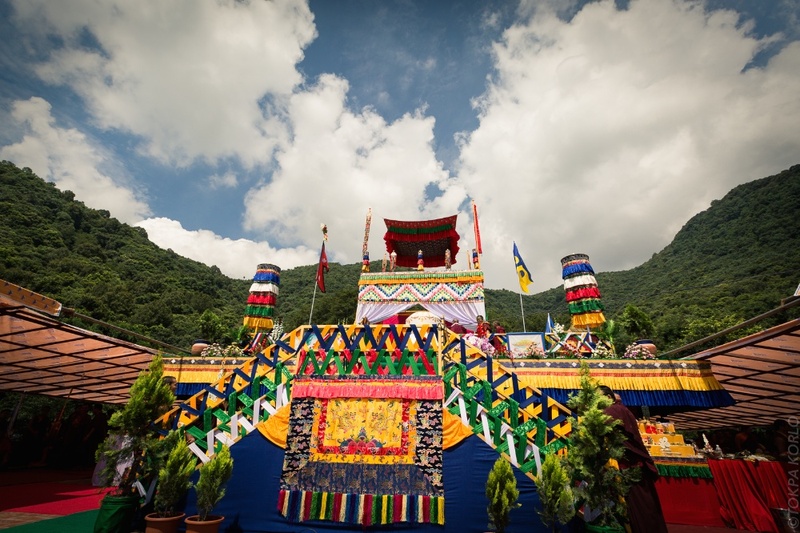 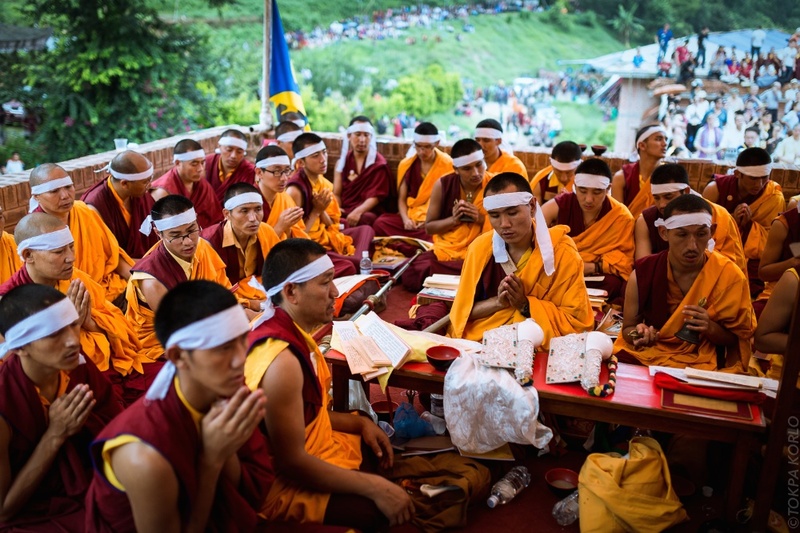 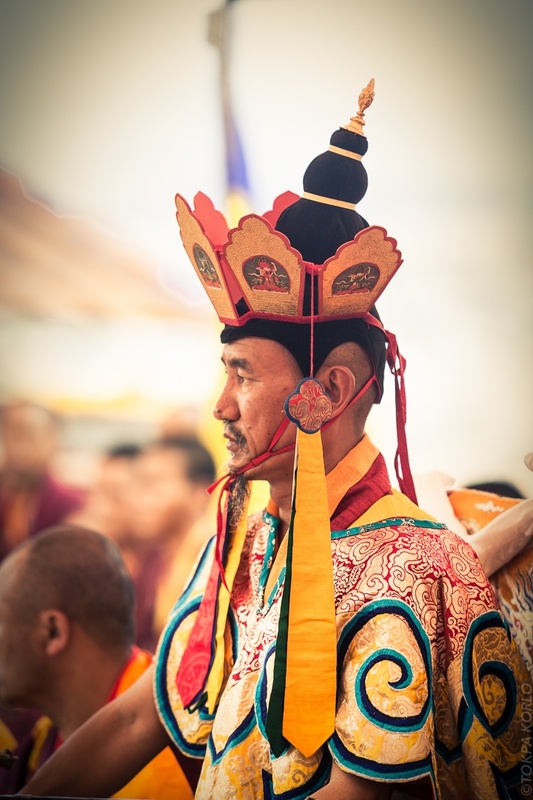 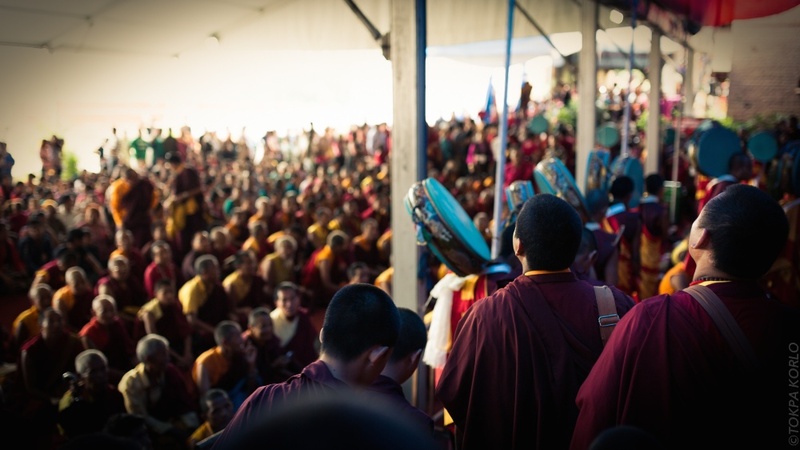 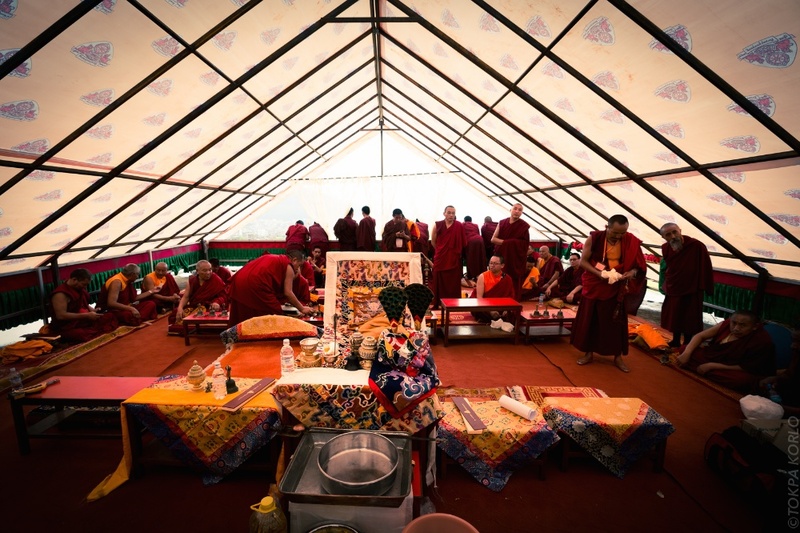 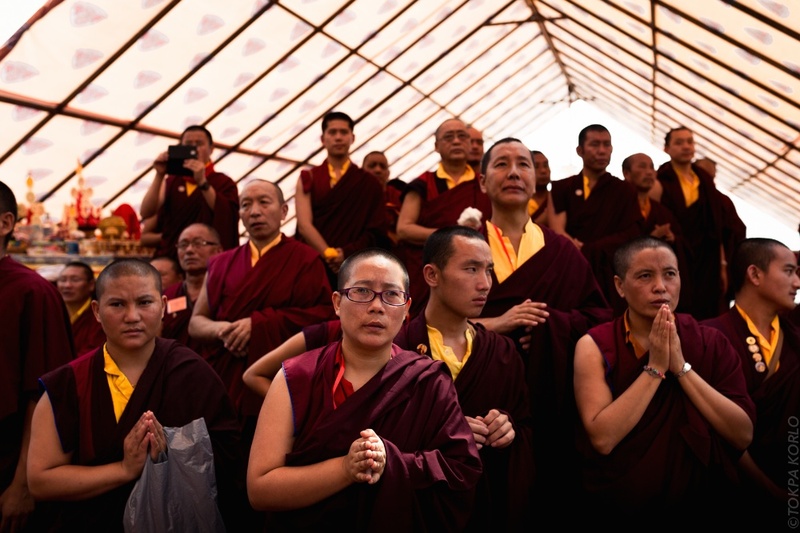 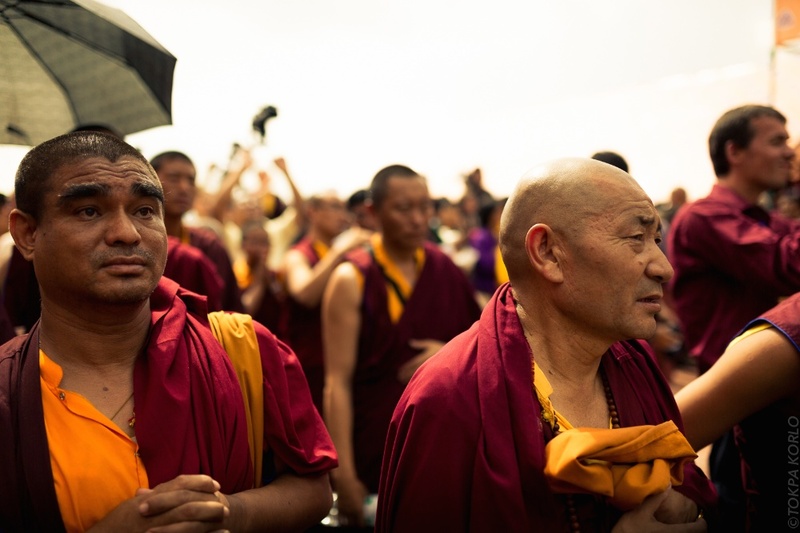 The ceremonies themselves were on a grand scale befitting a lineage holder of the Karma Kagyu, the 14th in the second-oldest line of reincarnate lamas in Tibetan Buddhism. 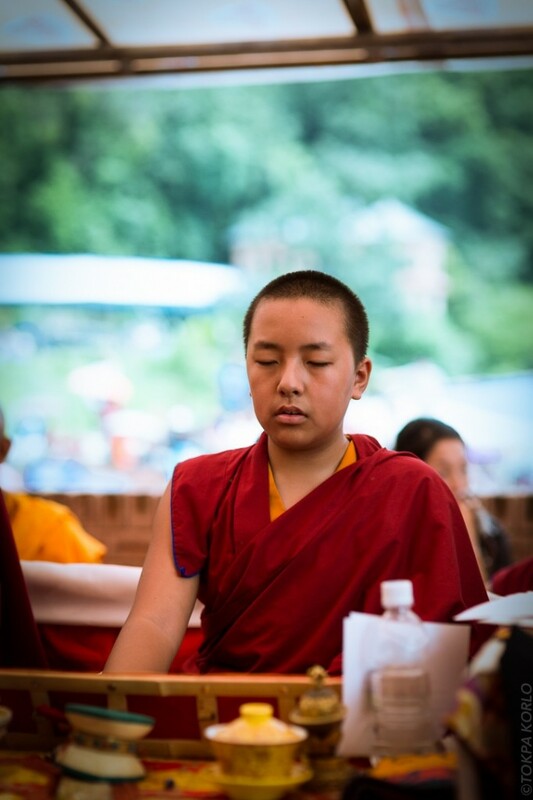 The oldest line of reincarnates is the Karmapas, and it was the 16th Karmapa who recognised Shamar Rinpoche, his nephew, at a young age. 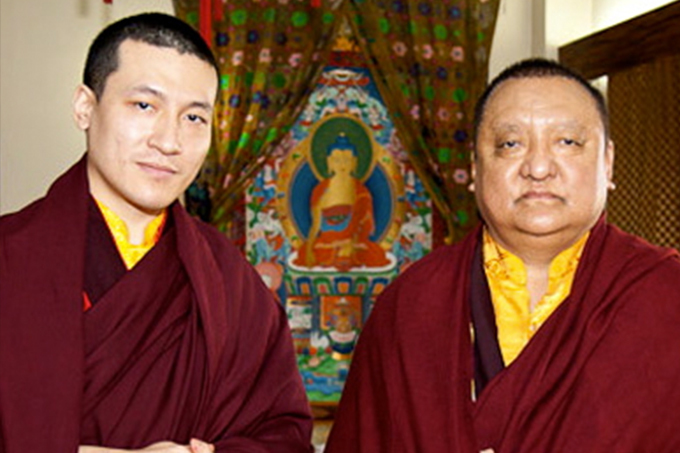 Shamar Rinpoche received all the lineage teachings from the 16th Karmapa, and in turn he recognised Thaye Dorje as the 17th Karmapa. 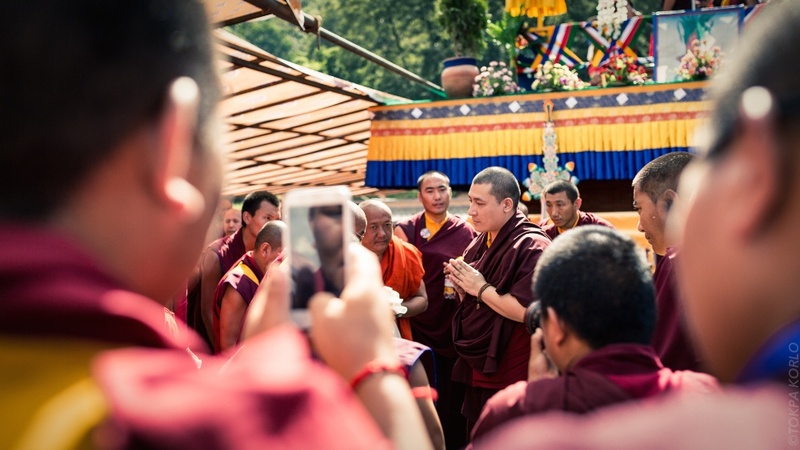 His Holiness Karmapa Thaye Dorje, leader of the Karma Kagyu lineage, will in time recognise the 15th Shamarpa. 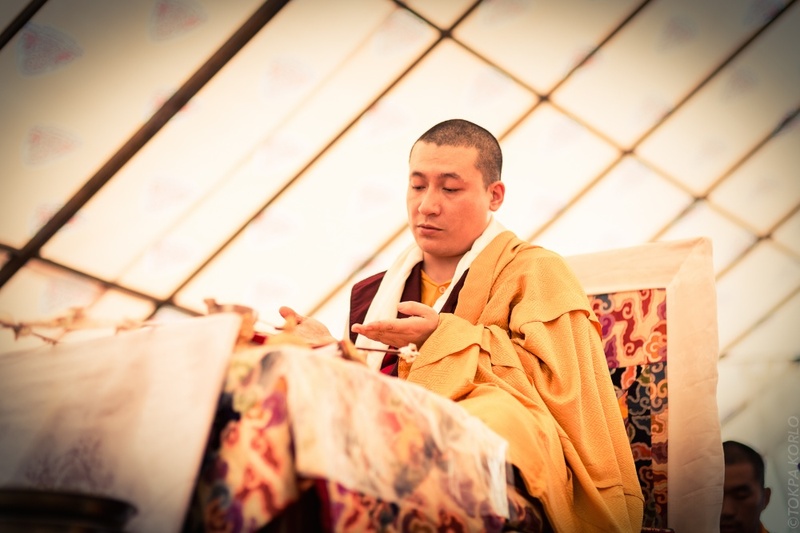 This principle of reciprocal recognition has ensured the continuity and authenticity of the Karma Kagyu lineage for 900 years. 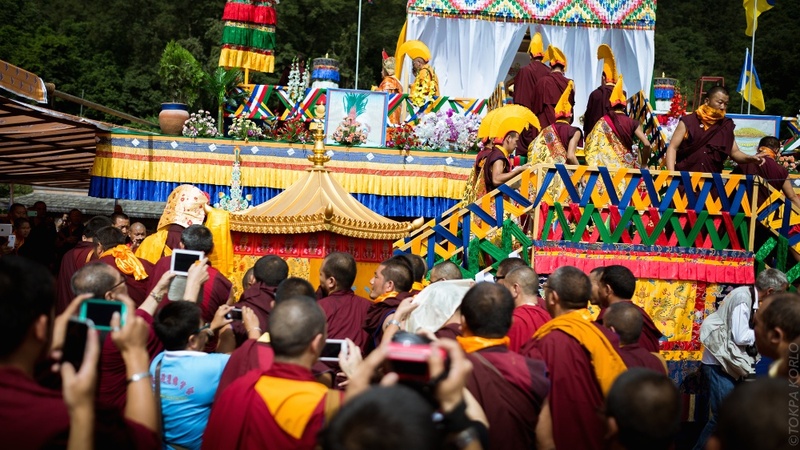 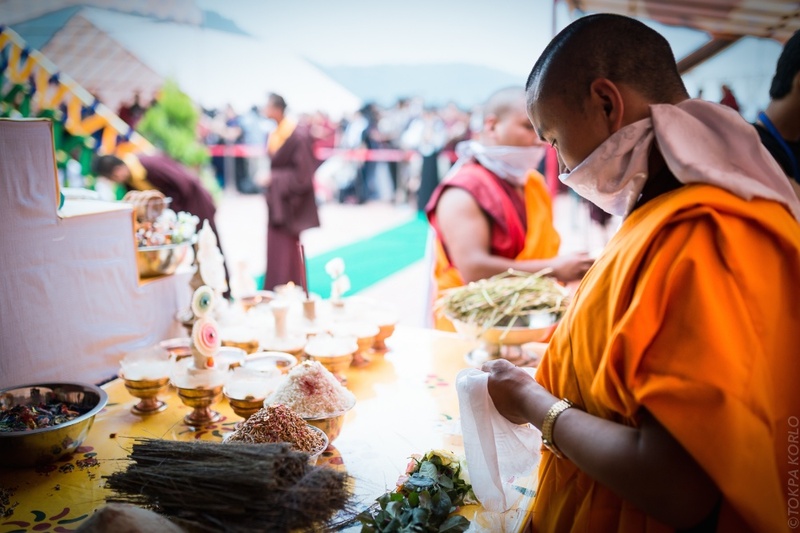 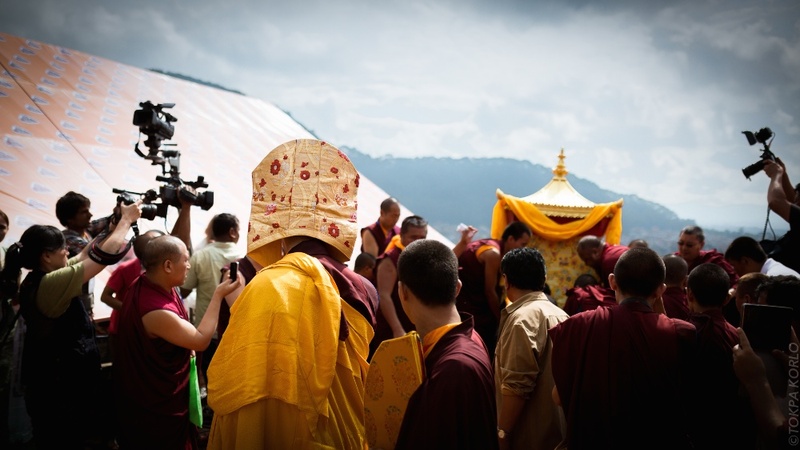 The cremation ceremonies were led by His Holiness 17th Karmapa Thaye Dorje. 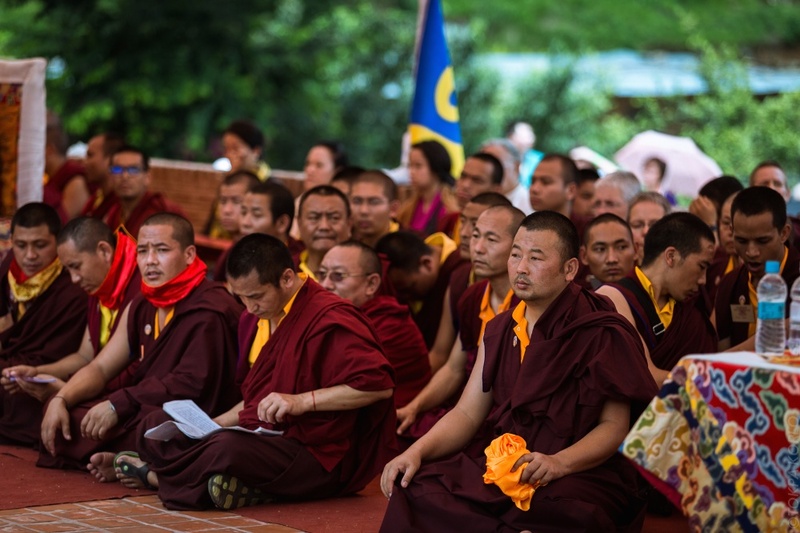 Representatives from all the main schools of Tibetan Buddhism attended. 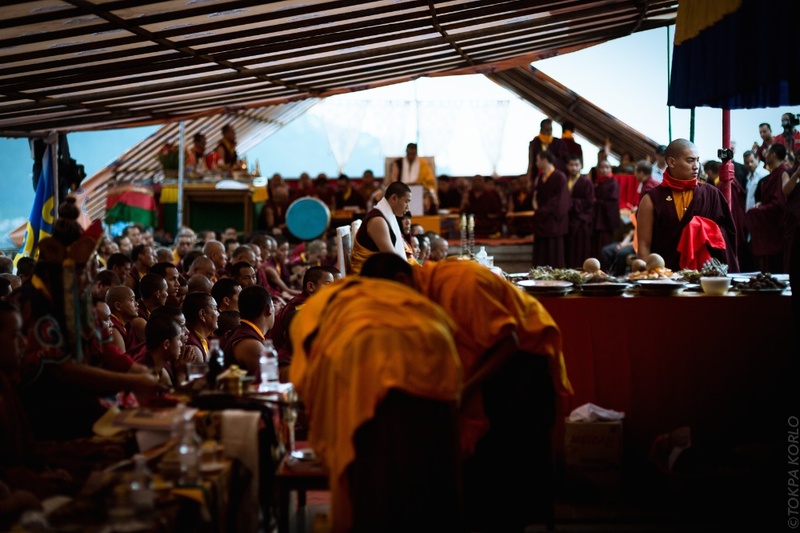 The ceremonies began with six simultaneous pujas, namely: Gyalwa Gyamtso (Sanskrit: Jinasagāra) by His Holiness Karmapa Thaye Dorje, Mitrugpa (Skt: Akṣhobhya) by His Eminence Lekso Lopin from the Drukpa Kagyu school of Bhutan, Kye-Dorje (Skt: Hevajra) by His Eminence Luding Khempo Rinpoche of Ngor Monastery of the Sakya school, Dorje Sempa (Skt: Vajrasattva) by the Nyingma lamas His Eminence Chogling Ling R. and Chokyi Nyima R, Phagmo (Skt: Vajrayogini) by His Eminence Beru Khyentse, and Demchok (Skt: Chakrasamvara) by His Eminence Gyatrul Rinpoche. 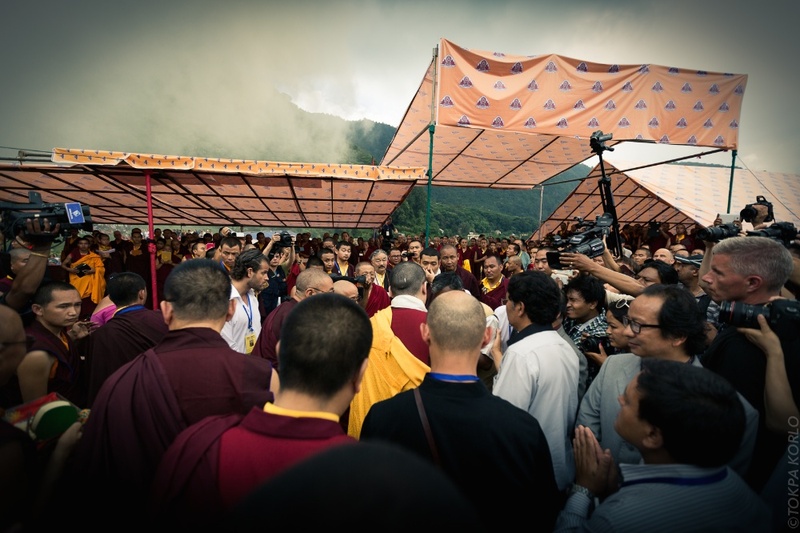 After the pujas came the fire offering of the kudung, where the ceremonial fire was lit under the stupa. 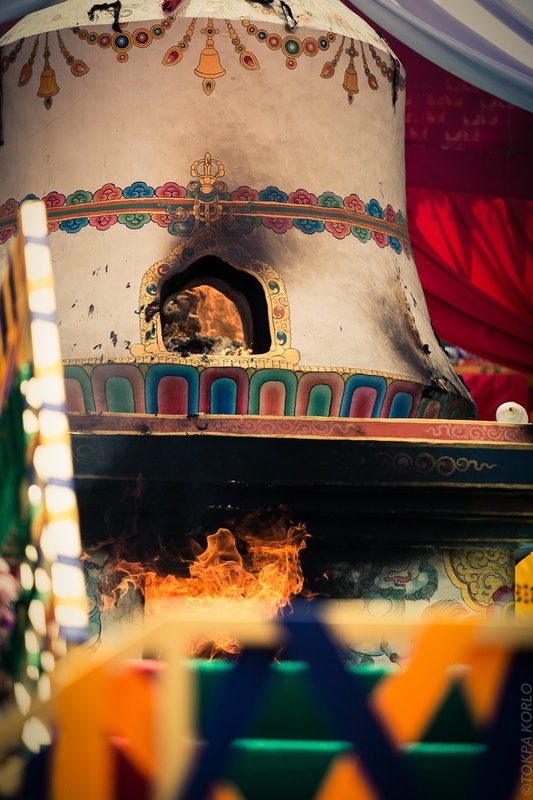 Twenty-seven birds were seen at this point to make a round of the burning stupa. 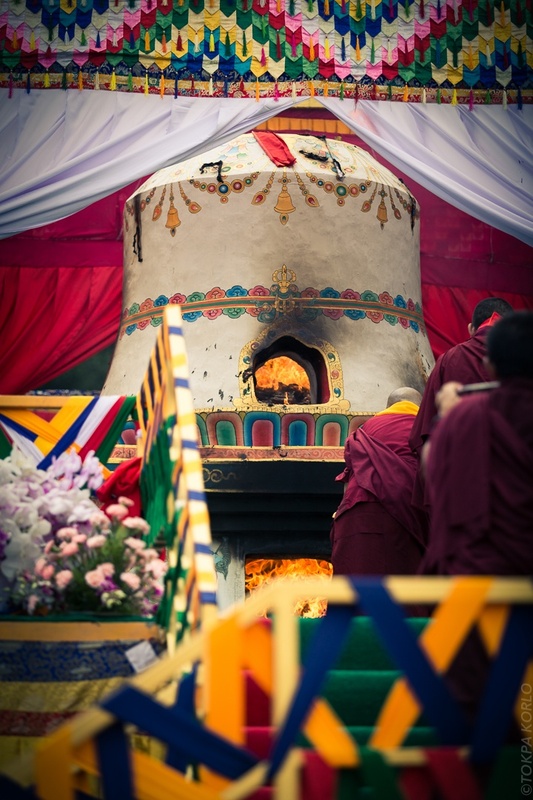 When the decorative roof was burnt through, the smoke went straight up, considered to be an auspicious sign. 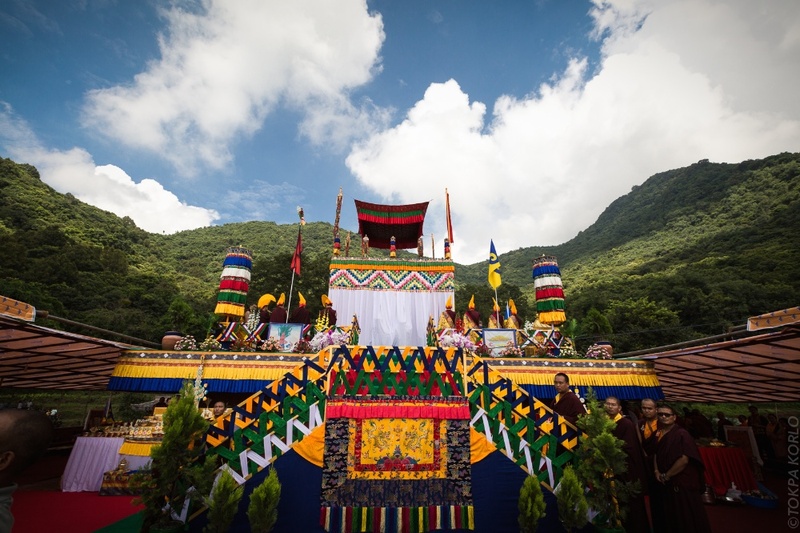 Many dignitaries attended, including the Minister for Information and Communications Dr Minendra Rijal, Minister of State for Labor Tek Bahadur Gurung, the Thai ambassador to Nepal Kanthong Unakul, and Legso Lopon, representing the Bhutanese Royal Guru Je Khenpo. 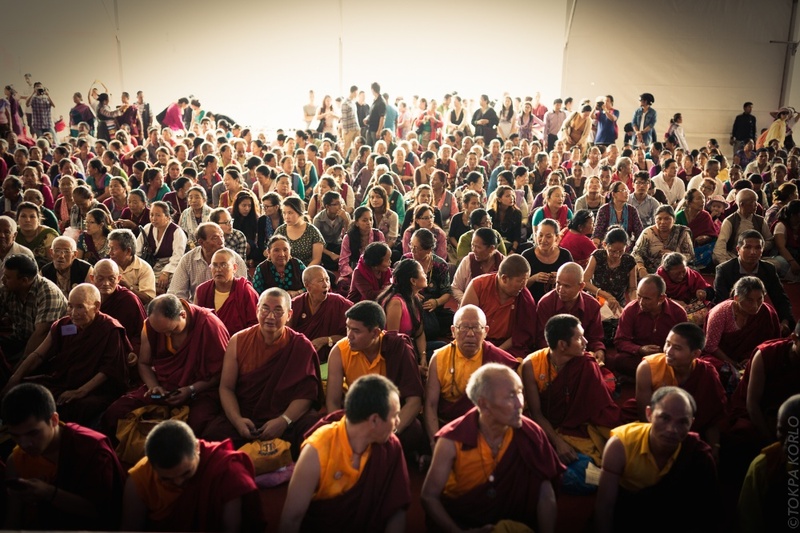 And tens of thousands of devotees came to pay their respects. 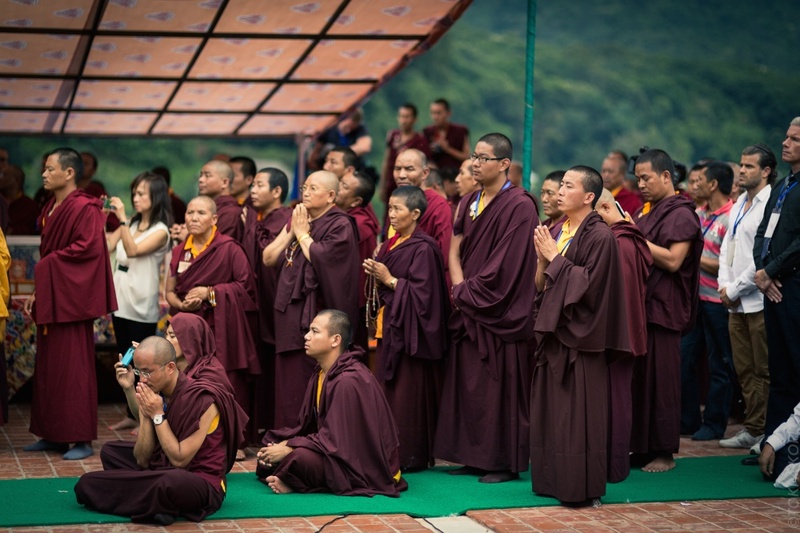 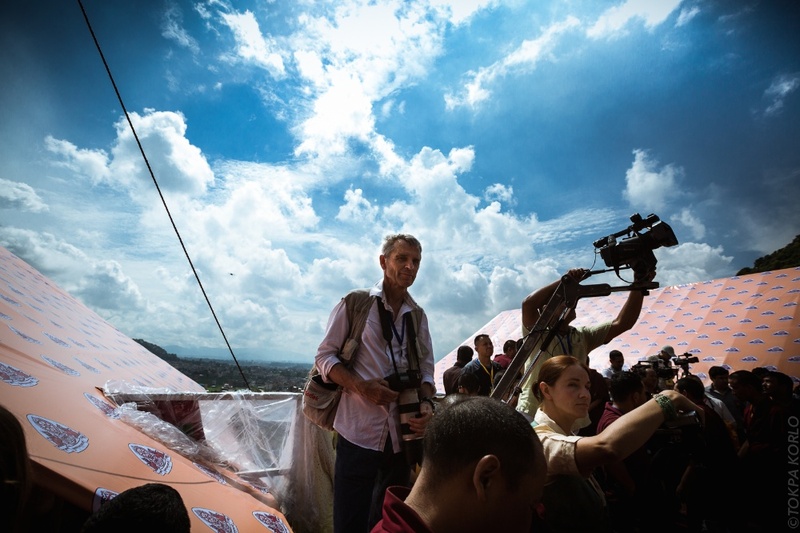 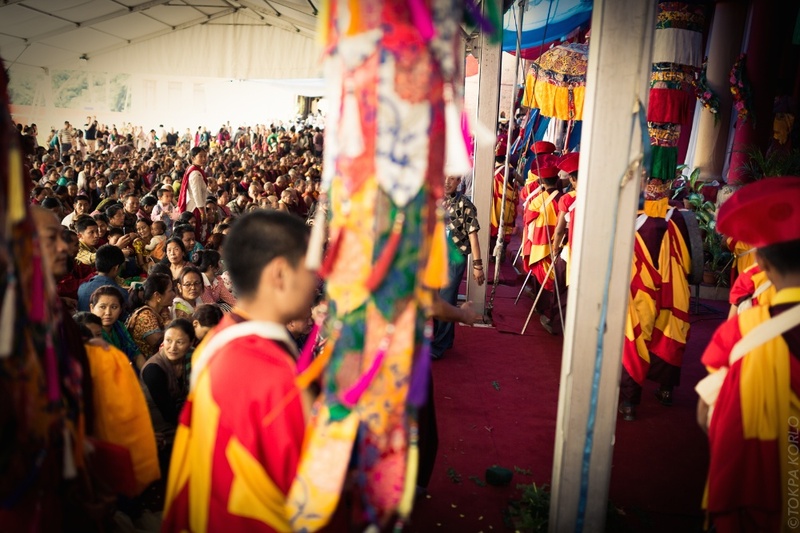 From Nepal, India, and all over the world, they travelled to Kathmandu and patiently waited their turn to file past the cremation stupa and offer a katak (ceremonial scarf), prayer, or private goodbye to Rinpoche.